Pictured: McPeak's Assisted Living resident Mary Pascale (center) is joined by her son Jerry Pascale (left) and her granddaughter Janine Pascale (right) during McPeak's Christmas party on December 17. 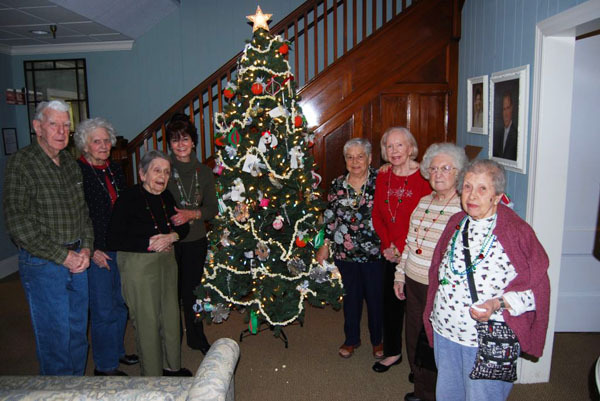 On December 17, residents at McPeak's Assisted Living were joined by their loved ones during McPeak's Christmas party. Residents and their family members were served a delicious lunch and enjoyed live musical entertainment. James McPeak, Owner, McPeak's Assisted Living, offered a champagne toast to wish everyone a happy holiday season.